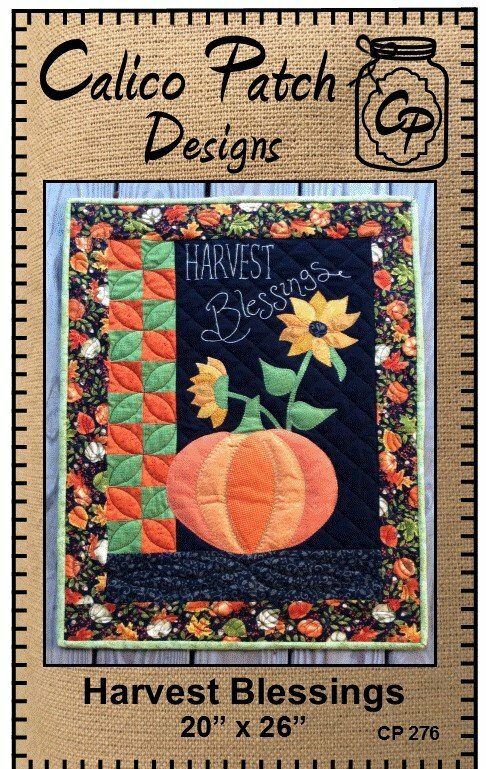 Harvest Blessings 20” x 26” A plentiful bounty is always something for which to be thankful. Especially when it means sewing this cute wall hanging to add to your fall decorations! Kit includes pattern and fabric to include binding.